Thanks to all who came to our show at Red Devil Lounge last night for Jonathan Mann‘s 1000th Song-A-Day and Album Release show. It was truly an honor and a blast to share the stage with over a dozen other extremely talented musicians. Aside from our own set, we joined Jonathan Mann on stage with his core band, The Rock Cookie Bottoms; Dustin Smurthwaite of Ladies & Gentlemen on trombone; Jeanne Geiger of Teeny Tiger (who also played trombone for Radiation City a few weeks ago at Bottom of the Hill); Ami Nashimoto of All My Pretty Ones on cello; Meeranai Shim on cello; Sarah Dabby of The Family Crest on violin; and Ivory “Sweaty Girlfriend” King on bass clarinet. Our next show is actually coming up pretty fast, on Monday, Oct 3 at a new music venue called Vitus that recently opened up in Oakland. Not only do they have killer deep fried zucchini sticks and Bloody Marys with BACON garnish (yeah, dude), the show is also FREE! 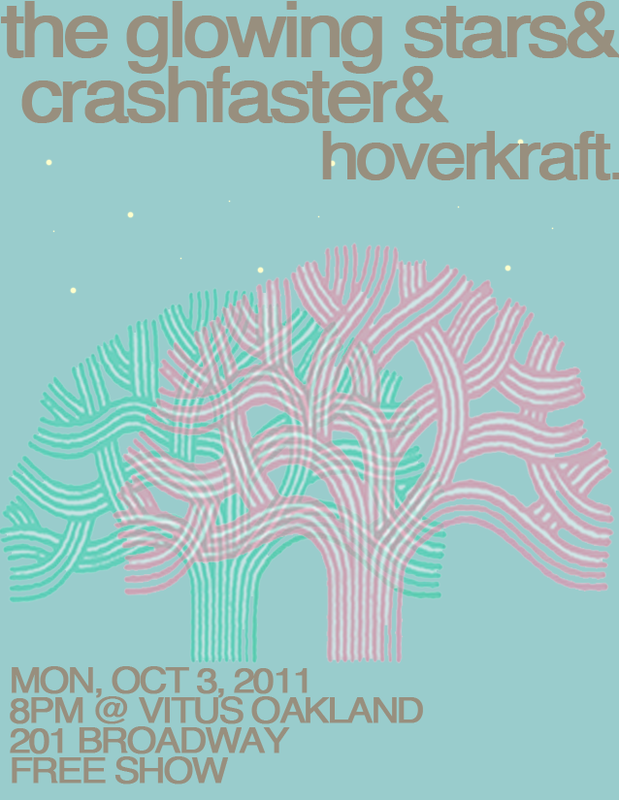 And we’re playing with our friend crashfaster, and an electronica duo named HoverKraft. We’re playing a few more shows in October, so make sure you check out our Shows page on the site, but our LAST show of the year will be with Planet Booty at Cafe Du Nord in San Francisco. After that, we’re going to concentrate on new songs and a new album until 2012, so make sure you’re at Cafe Du Nord on Saturday, October 29!